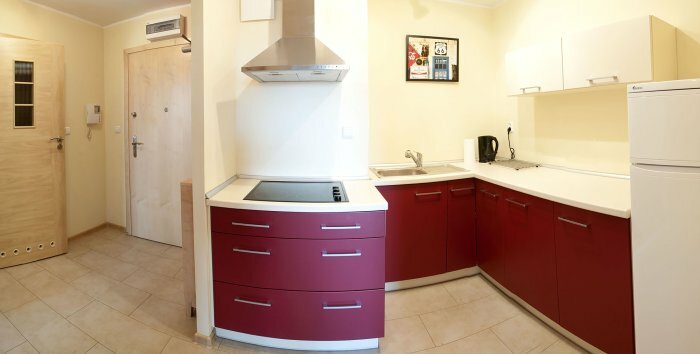 We offer you apartments to rent for days in the heart of Poznań. With high standard and lower prices, this form of accomodation is an attractive alternative forhotels. 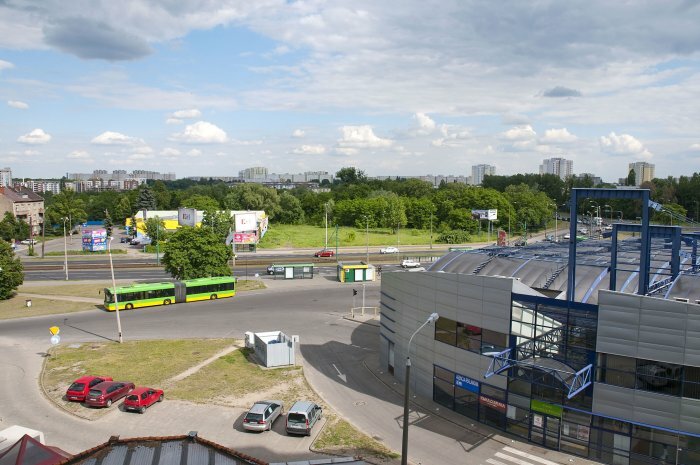 Apartments are located in a modern building in the hub, which guarantees an easy access to The Old Market Square, Poznan International Fair and the motorway. Free Wireless Internet Access provided. 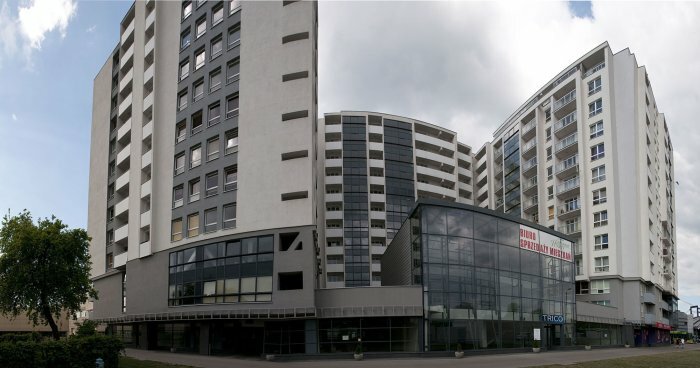 The apartments are situated in a modern building which has a lift and an underground car park. These apartments are best choice not only for people on business, conferences or professional trainings but also for families with children. 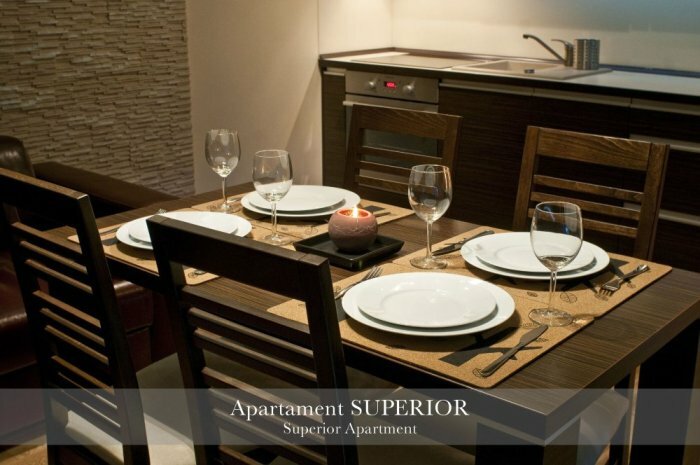 The apartments are fully equiped and furnished. 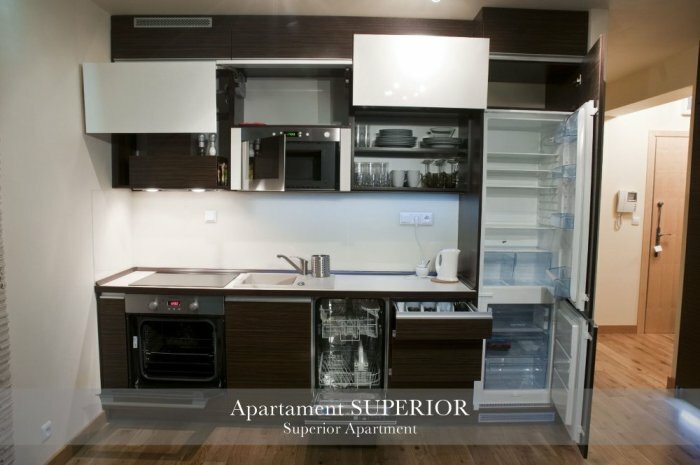 Below you can find a detailed description of Superior and Standard apartments. Modern apartment situated on the seveth floor. It features two rooms, a kitchenette and a spacious bathroom. Wooden furniture and dominating warm light brown colour, make the apartment cosy and pleasant. 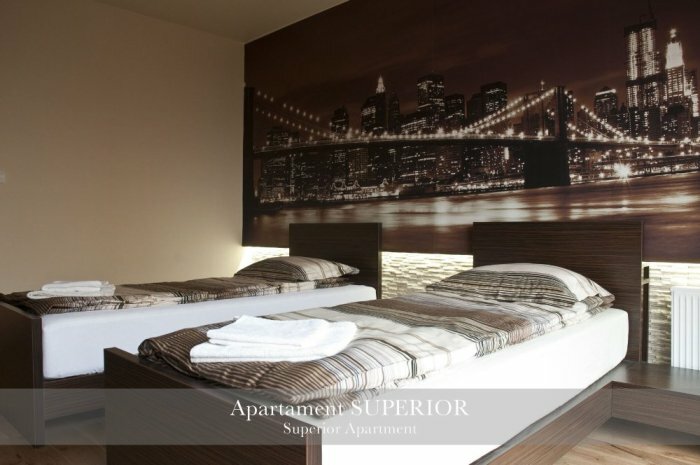 The apartment offers a panoramic view on the city. The apartment features a bedroom with a balcony, a living room with a kitchenette, a bathroom and a hall. There is oak flooring in the whole apartment, except for the bathroom with floor tiles. In the windows there are stylish wooden blinds. Numerous led lightings create a unique and relaxed atmosphere. There is a possibility to put together two seperate beds in the bedroom and make one king-size bed (200 cm*200cm) on customer's request. The construction of the beds was designed to make it possible. The living room features a convertible leather sofa for two people (155cm*210cm), a 40” LCD TV, a HDMI cable which can connect your laptop to TV and a table with chairs. There is a French window which makes the room sunny. Facilities: balcony, cable TV, LCD TV, free Wireless Internet Access, washing machine, heating, private entrance, sofa, shower, toilet, bathroom, kitchenette, fridge, electric kettle, microwave oven, dishwasher, kitchen equipment. 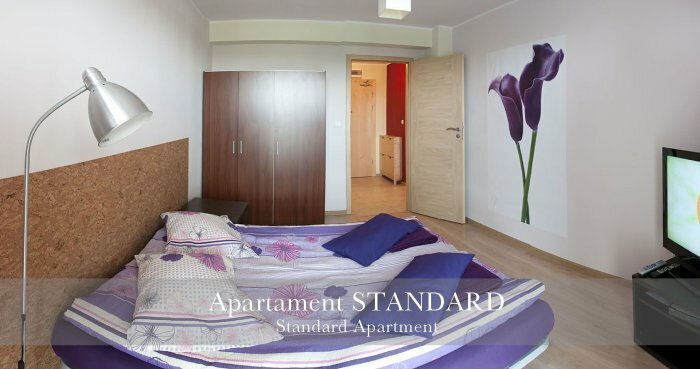 Standard apartment features two bedrooms (one with a balcony), a fully-equipped kitchen connected to a foyer and a bathroom. 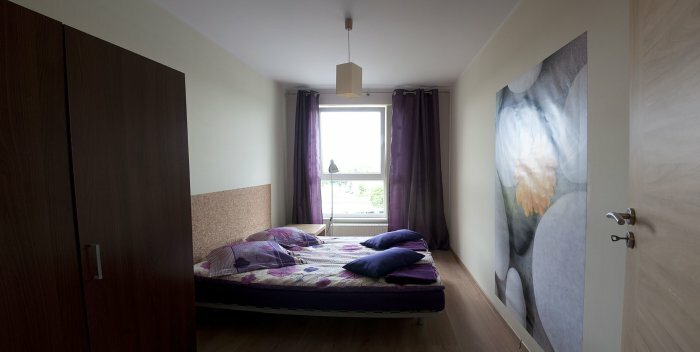 The apartment situated on the fifth floor, which enables you to admire the panoramic view of Poznań. There is wood-panelling on the floor in the rooms and tiles in the kitchen and bathroom. 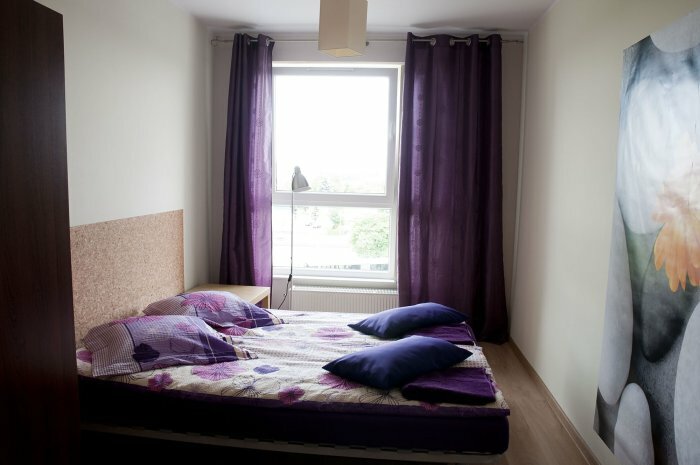 The dominating colour is purple which makes the apartment cosy. Both rooms are sunny, pleasant and highly functional. There is a tv in one room. Facilities: balcony, cable TV, LCD TV, free Wireless Internet Access, washing machine, heating, private entrance, sofa, shower, toilet, bathroom, kitchenette, fridge, electric kettle, kitchen equipment.